Hi everyone! I'm new here and am happy to have discovered such a great site. I'm in the midst of re-creating the Jupiter 2 from the 1960's TV show Lost in Space. I haven't seen much online other than an occasional Chariot or Robot, so I thought I'd try to bring some of Robert Kino****a's classic designs back to life, ignoring the (I think) dreadful movie re-make of the show. I work in MAX and usually am confined to architectural models, so it's been fun to break out into science fiction, since there are so many great designs out there. Nice work, look forward to seeing this develop. Definitely looking forward to seeing this project. I'm a HUGE LIS fan, and agree about the movie being pretty bad. Your robot is looking really good and pretty true to the series. Same with the astrogator and magnetic lock. I've done the robot myself, and have it in the downloads section. Also have the exterior of the Jupiter 2 in the downloads. I've modeled the complete Jupiter 2 before in Anim8or (along with launch pad), and modeled the Jupiter 2 (with most of the flight deck) in Animation:Master. That first render looks pretty much perfect! @Tralfaz - I did notice your models in the download section and wanted to take a close look at them for reference, but I don't have a way of importing c4d models into MAX. And I didn't notice that you had done them so recently. It would be fun to compare notes! I found a lot of info on the ship (including scans of the original Fox Studios construction blueprints) at the HobbyTalk.com forums. It's been a great help. @today - Yes, I had a laugh at the language filter too! Here are a couple of pics of the Stasis Tube assembly. Basic MAX lighting and reflect maps rather than raytracing for now. I am not being 110% true to every detail - after all, who can be in an ever-changing Irwin Allen universe? But I am adding a few details that didn't exist, such as some extra animated light panels and such, without being too intrusive I hope. The Upper Deck of the ship is approaching completion and I'll have some more images this week. The Lower Deck will come later, after I re-work the exterior of the ship. Holy crap, that looks absolutely great, looking forward to see more! Very cool work on these so far !!! The computer core/flight recorder octant is done, as well as most of the rest of the upper deck. I also created a short animation with ambient sound effects as a test. I plan on stringing together a "grand tour" of sorts and this brief clip will give you an idea of what I have in mind. C&C are always welcome! Just saw your video on YouTube. Looks really good. Love the lighting. Tried to subscribe to the video, hope it worked. After you've fifnished with lost in space you should do PIGS IN SPACE !!!!! ^ Just give me Miss Piggy's dimensions and I'm there! I'm sure Kermit will have something to say about that !!! These pics are superb !! Never was a huge fan of Lost in Space, can't really remember seeing it when I was growing up as a kid in the UK !! The show started out really well - it was the most expensive TV show ever produced at the time. The Robot by itself cost around $30,000, and that was in 1965 dollars. 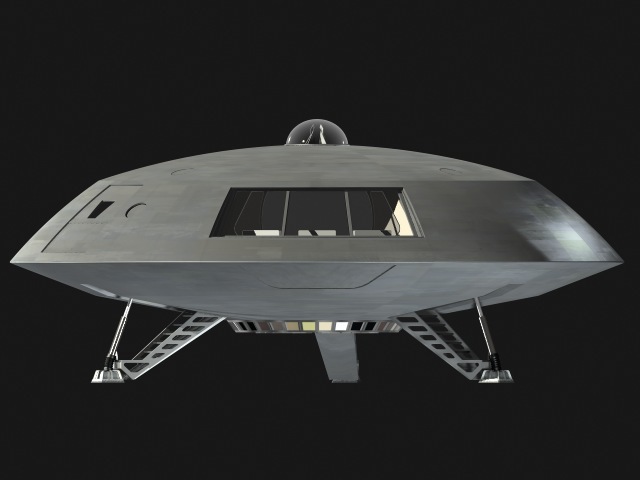 The full sets, including the 42-foot diameter mock-up of the spaceship were somewhere in the $600,000 range. (You could buy a 1965 Cadillac DeVille for less than $6,000 back then.) Robert Kinosh-ita reworked a lot of his Forbidden Planet designs for Lost in Space. The cast had promise: Both Guy Williams and June Lockhart were established television stars. And the music was primarily by John Williams with Alexander Courage adding a lot of incidental music as well. Too bad the writing took such a bad turn after the 1st season. It could have been a terrific show otherwise. Still, it's fun to re-visit the designs! I agree with a lot of what you are saying here. Robert's designs of the C57-D cruiser and Jupiter 2 still hold up well, even today. They were smooth, clean and functional looking (even if the interiors wouldn't actually fit inside the ships ). The cast did have promise, even Dr. Smith (in the first season). It soon became the Dr. Smith and Will show and the other cast members became the bit players. Batman was campy, so LIS became campy in order to try and keep up. The first season was darker, the cast more believable, Smith more sinister without much regard for anyone else. Then it degraded to talking carrots and ridiculous plots. In the talking carrots episode, you can see Don turn his back to the camera when they were in a cage, because he couldn't stop laughing. In the Alpha Control Techinical Manual, they attempted to explain Smith going from major bad guy to a bumbling coward and fool. It is due to him not being in a freezing tube when the Jupiter 2 lifted off from Earth under full power. The strange glow around the ship under full power affected his brain, which slowly change Smith. Apparently, the J2 never did a full power lift off again. Your models are looking great as always, but I was wondering if you are attempting an accurate reproduction of the J2? I did notice you were changing the door shapes to better match the shape of the other doors, but am wondering about the other details. I'd love to see a serious retro-remake of LIS, in the spirit of the first season... maybe even merge it with a re-imagined Rocky Jones series somehow? I originally meant for my B9 model for animation, just haven't rigged it yet, are you setting yours up for the same? Ah, the future isn't what it used to be... but your work here is top shelf! ..Your models are looking great as always, but I was wondering if you are attempting an accurate reproduction of the J2? I did notice you were changing the door shapes to better match the shape of the other doors, but am wondering about the other details.. Thanks Al. I'm going back and forth on the question. The ship's interior changed from season to season and even, it seems, from episode to episode! The pilot seats were sometimes present and sometimes missing. The stasis tubes started out as all glass, then a lower aluminum panel suddenly appeared with no explanation. The space pod door led either to the space pod (as would make sense) or to a storage room, or to a weapons locker. And originally, there was a 5-inch high raised floor around the perimeter of the main deck that was removed for the Robot's sake. The biggest change perhaps occurred when the lighted structural ribs were shortened to end at the soffit instead of continuing to the central ceiling ring. I heard this was due to re-building the set at a new location for the 3rd season. So I guess I'm taking elements that were present at one time or another and creating a ship that was representative, but not entirely consistent with a particular episode. And, as you pointed out, the fact that the Jupiter's Tardis-like interior doesn't match the exterior makes for an interesting challenge! P.S. - I never heard that explanation of Dr. Smith's behavior before. Fun stuff! Thanks! I ran across your model doing a search for info on the robot. Great work! I used your images as a resource to verify some components of the robot. I was actually searching for downloadable robots in MAX file form but decided I'd just go ahead and model it myself. It took a lot less time than I expected and was fun to do. In answer to your question, I have uploaded a new test video that includes our bubble-headed booby HERE. I too would love to see a re-make of the show using the aesthetics of the original, but keeping the mood darker as in the original few episodes. And Jeff's and yours idea of a re-make got the ol' juices flowing. I think I will work on a 1st season Jupiter 2. This would be after the first 6 episodes which were mostly made from the unaired pilot. That Jupiter 2 didn't even have an airlock! Working on that will give me a break from the Falcon and vice versa. In case anyone is interested, here a couple of links to my old J2 flight deck. It was done before I knew about bevelling and creating decent textures and lighting. This was all done in Animation:Master. Console lights and screens were all rigged to animate. Also includes the B9 robot. And here is an animation of my B9 Robot with articulated arms, torso, 'ears' and brain. Also done in Animation:Master. Exterior shots. Most everything that can be animated is rigged. I still am experimenting with textures and am leaning toward a more worn look. After all, our little ship has endured, what, meteor strikes, flaming comets, exploding planets, supernovas and fiery asteroids? Not to mention the fact that just looking at it funny will cause the computers to combust! Also uploaded is a test animation of the exterior. The blast doors move, the gear retracts, the sensor bubble components rotate, the heat radiating engine fins deploy and the famed "Thompson Unitectic Gravity Drive" spins. Gotta' say Avian, your model and animations are looking great! Your pictures and animations are so crips and clear. Anytime I upload anything to Youtube, it gets very blocky and blurry. Would you mind sharing what format do you render your animations to for uploading to Youtube? One thing I did notice was when your landing gear retract, the panel that slides to cover the foot pads should slide horizontally and not vertically. Other than that, it looks great! I've started modeling the Season 1 Jupiter 2 and hope to have it as accurate as possible to the show. I found a user group that has blueprints of most of the original equipment. The person I was talking to had met with the owner of the original equipment and had taken measurements, angles, even molds of the knobs so he could duplicate a flight deck for himself. There are about 10 people on the user group building flight decks. There are also original blueprints from the series. If my Jupiter 2 can look anywhere as good as yours, I will be very happy! Thanks Tralfaz! Regarding the animations, I usually render out targa frames (never .jpgs) then compile them in an editing program (e.g. AfterEffects) to create a .mov file. Here I am using a 640x480 frame size. When compiling I do use the H264 codec and then upload to YouTube. You can also upload uncompressed files to maximize their quality - YouTube will automatically compress them at their end to achieve the best results. I'm glad you are going to model the 1st Season J2. I think the S1 version is truer to Kinosh-ita's ideas and probably avoids some of the kitschy colors of S3. For example, I'm rendering out an animation of the astrogator and in retrospect I'm thinking I should have left the little "saucer" silver instead of the tarted-up yellow with the black spiral pattern. Good luck with the modeling. I'm really looking forward to seeing it! I liked your animation of the flight deck - that's the level I am after as well. I am still figuring out how I'll use mattes to blend a "real" upper and lower decks with an exterior view. I know there has been a lot of discussion on physical modeling forums about the impossibility of incorporating both into a reasonably-sized saucer. But in CG-land anything is possible. About the landing gear hatch cover... Thanks for the confirmation. Yeah, I wasn't sure about how they actually slid closed in the show. I did see a clip where it seemed they moved horizontally but my mind suddenly switched over to engineering mode and thought "how did that work with the structural ribs holding the saucer together? Shouldn't they slide down from the perimeter?" I will probably change it it to be in line with the show though. Depends on how stubborn I'm feeling. Oh well. C'est la television! If you don't mind, let me know how to find the J2 user group. I did download some fuzzy hand-drawn blueprints from HobbyTalk scanned from the original 20th Century Fox plans (they even include the lower deck bathroom! ), but if something else exists that is accurate and clear I'd love to see them! Oh man, what can i say but: Awesome!!! and: Beautyfull!!! P.S. There is always the Irwin Allen Website. Lots of great photos there on a lot of Allen's productions. A remake would be great! I have a copy of the unaired pilot, before the Smith character was introduced. That first season had great promise, with Smith as the antagonist. I'm one of the few people who actually liked the motion picture version, I has hoping for at least one sequel. I also have a copy of a pilot for a new series from the 90's, which actually wasnt bad. Kind of reminded me of Space:Above and Beyond, which I thought was great. Your J2 model is superb. The last time I worked on my B9 model I was trying to rig the arms for retraction and articulation, for animation. I may have to resurrect that old bucket of bolts, your work is inspirational! I'm still figuring out how I'll piece the animations together. I may try for a narrative or else just a tour of the ship. If you have any ideas, speak up! P.S. - I used some "moon buggies" I once downloaded long ago but I've had them for at least 6 years and don't remember where they are from. My apologies if any of you out there are the creator! You could always try to do an interactive tour. With a few click-able arrows for left and right views etc. I'm planning on doing a pilots training guide, or operations manual of my re-imagines Eagle Transporter, from the point of view of a new pilot trainee, guided by an instructor. A huge task, but good, geeky fun, and a great way to produce a portfolio reel. Maybe a tour guided walk through of the J2? The robot could be the guide... Whats Bill May doing these days? Send him a script... or use a different voice altogether. ^ Great suggestions, Pagrin and Jeffrey. Thanks for the ideas! I'll see what I can come up with.